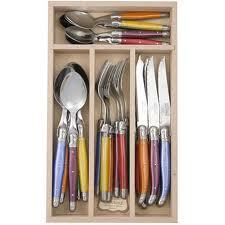 A Little Ray of Sunshine (in my cutlery drawer). Ooooh! Buzz and I received a very gorgeous, exciting and cheerful wedding present today from one of my beautiful bridesmaids. I am just thrilled to bits by them! My lovely set! Sorry about the iPhone quality pics, but check out that rainbow! Sassiest wrote a very interesting piece on the provenance of the Laguiole style of knifemaking, and as a history buff I was intrigued by the detail and attention to quality inherent in this artisan craft. 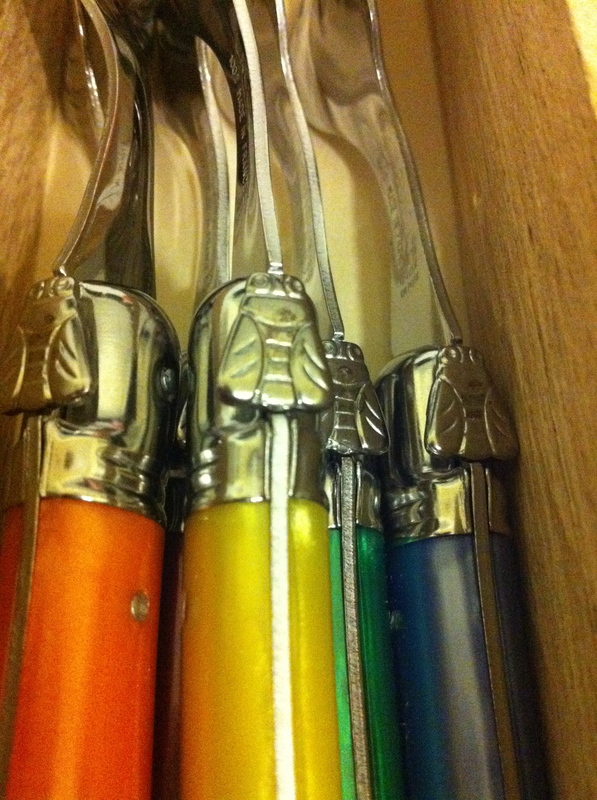 However, as a bone handle and a hearty steak knife aren’t top of my personal cutlery priority list, I know I will just be shivering with excitement to use these colourful darlings! 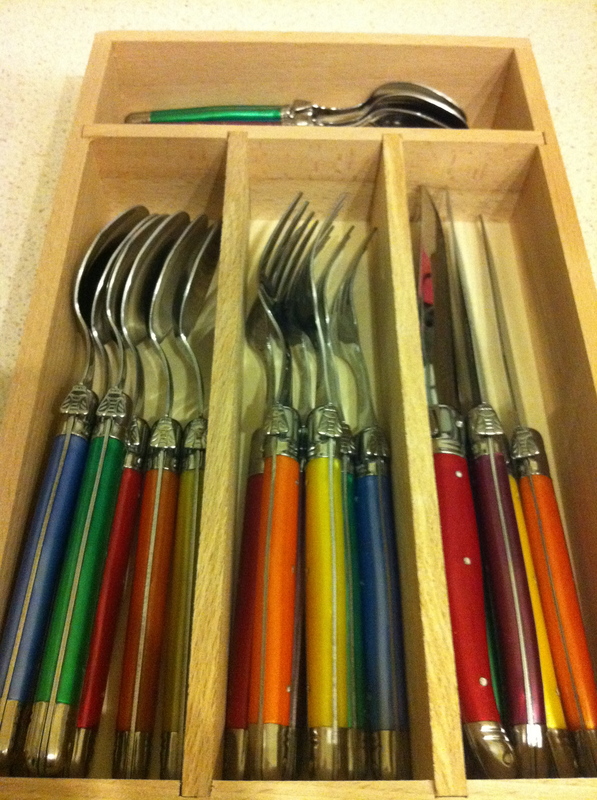 How could you not open the cutlery drawer and feel just a little bit cheerier than you did before you soaked up these rays of sunshine. Now I'm just uploading these for fun. Thank you, thank you, my gorgeous Jose. May there be lunches and picnics and tea parties and long boozy dinners with these lovelies, all with you, for many years to come. A plan, a deep dark secret, and a challenge. Intrigued? 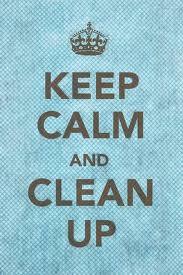 It helps that I genuinely cleaning up, and when my house is tidy I feel relaxed and content. When my home is less than sparkling I feel overwhelmed, confused, repulsed and deeply uncomfortable – on some occasions I’d even say distressed. Clutter makes me want to wrap my arms around myself and stand very very still in the midst of the chaos before launching into a spectacular decluttering frenzy (obviously not in anyone else’s house!). 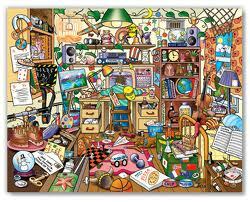 In fact, even if I loathed cleaning and tidying, I am so reliant on the calm and structure that an orderly environment brings me that I’d do it all the time anyway. The thing with having an organised home is that when things get off track and bit messy, you just need to correct it rather than start from scratch. For example, if I have some stuff lying around on my coffee table where it doesn’t belong, because everything already has a designated home it’s as simple as me taking it back there. I don’t need to engage in long discussions with myself about where each item should go, whether I need to clear out a new space for it, what else needs to be ditched to make room, or if it’s just easier to leave it there. So here’s my plan for when I get home this evening to have a sparkling clean house by dinnertime! (I should note that Buzz will be working tonight; this is not a household in which women do the cleanin’ and the cookin’ while the menfolk do the drinkin’! We also try to have an hour each weekend when we clean at the same time to get on top of things, but with wedding preparations in full swing our recent weekends have been chockablock full of dance lessons, fittings and meetings, so we’ve had to let it slide). This is our equal opportunity (to do housework) household! If I have laundry or wash or a full dishwasher, I put these on first so they can do their thing while I’m doing mine – I like my house to multitask with me! As everything I have has its own home, a first step to cleaning up for me is always to do a walk-around. I simply move from room to room, picking up things that don’t belong and replacing things that do. Sometimes it takes me a couple of laps of the house to get everything back in its home if I can’t carry it all at once, but it’s a simple and quick process to scan to room, identify what doesn’t belong, pick it up and when I reach the room in which it should live, pop it back in its place. Next I like to do specific tasks, such as emptying the dishwasher, taking clothes out of the washer or dryer or collecting clothes that need to be put away. Doing these things first allows me to clean last with clear surfaces and everything in its place – I run cleaning cloths and dusting cloths over surfaces including benchtops, tables, window sills and furniture – and anything that is dropped on to the floor is lastly picked up by a sweep or a vacuum (vacuuming is Buzz’s special job – I really, truly hate this task. I traded him the grocery shopping, which I love doing and he can’t stand – now that is marital cooperation at work!). I rarely have to thoroughly clean the kitchen as I do it every night, but I like to give the microwave a little attention and maybe even wipe down the fridge and empty out the crisper. Finally – I tackle my clothes. This is my deep dark secret: I am terrible at putting my clothes away. I can’t go to bed until I’ve cleaned the kitchen, but a pile of clothes on a chair doesn’t keep me up at night. 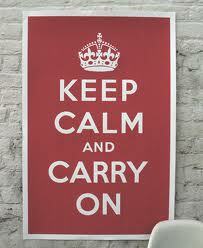 This is totally my problem area and one that I am constantly working on! I quite like folding the clean washing (creating order from chaos etc; very soothing!) but I have a real mental block about returning clothes to their place. I am really quite surprised by this as I love my clothes and I love seeing them all hanging up neatly and ready to be worn, but my treatment of them doesn’t really reflect this. Multitasking is the name of the game! And here is my challenge to myself: Every night for a week I will make sure that clean washing is folded and put away, and that any clothes that don’t need to be washed are also put away before bed. They can stay airing n the bedroom chair for a few hours, but if I’m in bed, they are too! And I’m going to challenge you too! What is your ‘mental block’ task? What can’t you quite bring yourself to do? Will you challenge yourself to make it happen this week?